Let’s me start off by saying that the majority of restaurants fail. That is a commonly-known fact. Restaurants are known to have thin margins with high overhead costs and long hours. According to CNBC, nearly 80 percent of restaurants close their doors before the 5-year anniversary. However, they don’t all close because they are unprofitable. A fair amount of them close their doors because of the work involved in running a restaurant. It’s hard work, especially if you do not have capital to hire a manager and are open 7 days a week. But if you are here reading this article, you are hoping to be in the 20 percent that has a restaurant operating for more than 5 years. This article is a comprehensive rundown showing you how to start your own restaurant. I have not started one myself but have done marketing for restaurants and have friends in the restaurant business. So along with my personal knowledge and research from the web, the following is a comprehensive guide for aspiring restaurateurs. 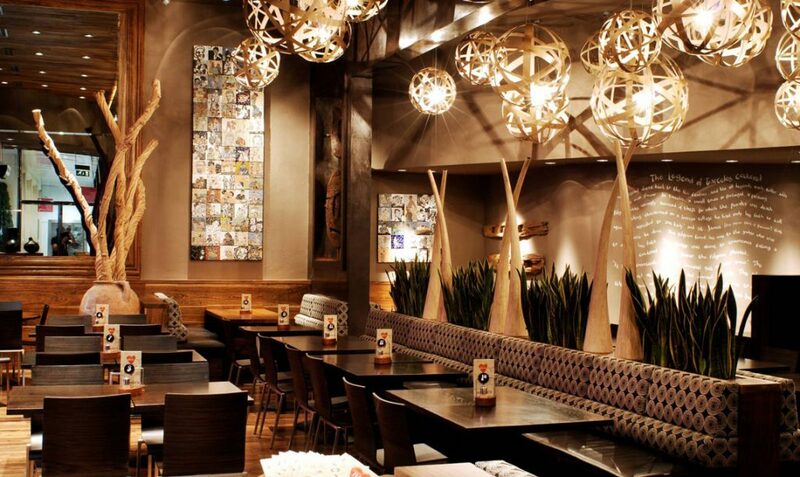 Unless you are a household name, location is vital to your restaurant’s success. Besides the food (obviously), the location is the most important determinant in whether your restaurant survives and thrives. Pick an area with a decent amount of traffic, if there isn’t foot traffic, then at least vehicle traffic. Ideally, you want your restaurant to face outward, and not buried behind some big building. A good way to gauge how good a location is by judging how many other restaurants have come and gone by in that exact location. If the location has a new restaurant come in and out every 1-3 years, that might tell you that the location is not ideal for your restaurant. If you are opening a restaurant, you will need capital to sustain at least one year of losses. So if you are opening a bigger restaurant, you might need to take out a loan or find some investors. Banks are unwilling to make loans on restaurants with collateral (such as your house) because of the inherent risks involved. There is also another option for borrowing money—they are called hard money lenders. They are a cohort of private individuals who have money to lend. But because hard money lenders do not have as strict of a guideline as banks when it comes to lending money, they charge a higher interest rate. They can charge anywhere between 10 to 15 percent on the loan. You should only go to a hard money lender when you anticipate that you are going to pay that loan back very quickly, like within months. The other two options for finding money for your restaurant business is to get an active partner or a silent investor. Both options are better than taking a loan with the bank, if you don’t mind giving up part of your profit. A partner will most likely take 40 to 50 percent of equity but will put in about as much money into the business. Plus having a partner help you with the day-to-day operations of the restaurant is an added bonus. If you are doing a partnership, you should definitely form an LLC or an LLP. But more on that later. The other option is to find an investor. An investor will usually give you capital to get started but will also want a piece of the pie. They will most likely not take half of your business, but the numbers can vary anywhere from 5 to 40 percent, depending on how much money you are asking for. If you are opening a restaurant that takes millions of dollars to run the first year, your investment will most likely come from a group of investors because they want to mitigate their losses if the restaurant fails. As with any business, doing the legal legwork is important and can save you tons of headaches later on down the line. The restaurant business is notorious for the amount of licenses needed in order to operate. Most small restaurants operate as a sole proprietor, limited liability company (LLC), or a limited liability partnership (LLP). Forming the legal entity of your business is fairly easy. For more specific instructions for forming the business within your state, refer to your state’s department that handles paperwork for businesses. You can also go to sites such as Nolo.com to simply the formation of your business entity. Restaurant owners need to apply for a seller’s permit so they can purchase food and restaurant-related items at wholesale prices without paying sales tax. Food establishments that operate inside a building are required to obtain a building license with the city or county. An inspection by the fire department, environmental safety board or other safety organization may be required before the license is issued. All food businesses must get a county and sometimes state health permit in order to begin operations. Besides the initial permit, the health department will perform regular inspections in order to ensure that your food handling is up to their standards. Do not fail these regular inspections—they can ruin your business. Besides the lost revenue from closing to meet health standards, the bad press you get from the failed inspection may ruin your restaurant’s reputation. Some cities and states require one or more employees at a food facility to get a food handler’s permit. The city or state may require one or more employees to take a food safety class before the permit is issued. It is a wise idea and sometimes required that a person with a valid food handler’s permit be on the business premises at all times during open business hours. Because of this, it is a good idea to have multiple employees obtain a food handler’s permit. Before hanging a sign in front of a business, a sign permit must be the local governing jurisdiction. Cities and counties usually have restrictions on the size, shape and location of your restaurant’s signs. If a business wants to sell alcoholic beverages, it must get an alcohol beverage license. Beer and wine licenses are easier to get; hard liquor licenses are more difficult. Most jurisdictions will not issue a liquor license to a business owner who has a past felony record. Businesses that want to play copyrighted music in the restaurant must obtain a music license. Businesses that play copyrighted music without a music license can receive heavy fines. The three main music clearinghouses that issue music licenses are BMI, ASCAP and SESAC. Each music clearinghouse owns the rights to different songs. Getting a music license with all three major clearinghouses can reduce a businesses risk of being fined. I would venture to say that having a web presence in today’s business climate is no longer an option, it is necessary. People want to be able to look at what the dishes look like, your menu, and your prices before they go to the restaurant. A restaurant will boost your online presence, which will help people filter, converse, and review your restaurant much easier. A restaurant for a website can cost anywhere from 0 to $5,000, depending on how fancy you want it to be and who you want doing it for you. If you do it yourself, it will be free aside from the cost of domain and hosting. If you are unable to do it yourself or don’t want to, you can hire freelancers using sites such as Elance and Upwork. If you use sites such as Elance and Upwork, you will find that using a freelancer overseas in developing countries can cost you much less than hiring someone locally. A project that is quoted for $3,000 from someone in the United States can be as cheap as $500 to $1000 if you hire someone from a developing country. However, there are many problems that are associated with hiring someone overseas. First may be the obvious communication issue. Even if both sides are speaking English, it does not guarantee that both sides mean the same thing. The quality of overseas freelancers is more varied, if you hire a cheaper freelancer, generally, you will get cheaper product. But you might be able to find someone who is just as competent but costs just a fraction of the cost. When constructing your website, you want to figure out what features your website wants to implement. If you want a simple 5-page website and do not want online ordering or online reservations, the cost of the website should not exceed $1,500, even if you are hiring someone locally. However, if you want to set up online reservations and online payments, the cost of your website can cost upwards of $3,000 to $5,000 if hiring locally. What many people do is start off with a simple website first and then upgrade their website to take online ordering and reservations at a later time. With Namecheap, there is no option to pay monthly on their Shared plans. So you have to commit to a yearly plan. However, it is only $19 for the whole year which is very cheap. With Bluehost, you have the option to pay monthly so you are not locked in for the whole year. So after a couple of months, if you do not like what you have, you can cancel. Check-in for a discount: I don’t see restaurants use this method enough but I have found that this method brings a lot of customers. This method works by having your customers check into the restaurant via Facebook or Yelp in order to receive some sort of discount. Once multiple people within a Facebook circle check into the same place within a short span of time, people will notice. If the customer checks into Yelp, it will get the attention of Yelpers, who are famous for being foodies. Advertise on Facebook: Advertising on Facebook can be a cheap and effective way to get your restaurant’s name out there. Facebook marketing does take some time to learn so dedicate some time to learning the ropes before jumping in and wasting money on ads that do not convert. Udemy has great courses on Facebook advertising, and they are cheap. Sign up for Uber Eats and Grubhub: Uber Eats and Grubhub makes it easy for your customers to get their food, without ever having to visit your store. Not many restaurants use this method so this can be something you can do to stand out from the crowd. Promote through Livingsocial and Groupon: This is a great way to get your name out there. Although you are going to take a loss on the coupons, the idea is that you are going to gain loyal long-term customers that will bring consistent profit. This also works by getting your name out there so people know you exist. Get reviews on Yelp: Yelp is the number one destination for food reviews. Nothing else comes close. Because it is so popular in the restaurant industry, it is important that you get good reviews on there. If your customers enjoyed their dining experience, ask that they review you on Yelp. Perhaps give them a small discount off their bill or on their next visit. Get reviews on your Google listing: After Yelp, the next important place to get reviews is via Google. You have to make a Google Business listing first so Google knows that you are a business and will display you as a restaurant in Google Maps. Fill out all the required information for your listing, such as website, contact information, and hours. Then upload some delicious pictures of your dishes onto your listing. Next, get reviews on your listings. The more positive reviews you have on your Google listing, the better you come up when someone searches for a place to eat in your city. For instance, if you own a Thai restaurant in Seattle, then your restaurant will prominently show in the top spots if you have a lot of positive reviews. So all this marketing advice is predicated upon your food being good. If your food is not good, you’re not going to survive, no matter how genius the marketing is. 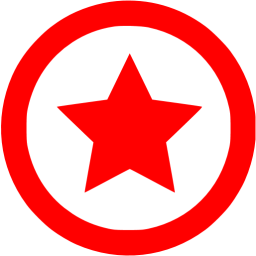 ***The red star means that they are the most effective means of advertising for long-term profit. Of course every restaurant needs a POS (point-of-sale) system. It’s how your customers pay. Of course you can go cash-only but the overwhelming majority of restaurants have systems to accept credit and debit cards. The good news is that gone are the days where you need to invest thousands into a POS system with complicated setup. Today, there is Square. Square is the popular pay-as-you-go point of sale system. Their cost structure is extremely friendly to businesses starting out because they don’t require any upfront fees. They also don’t require a big computer to operate. All you need to do is plug their small credit card reader into your tablet or mobile phone. The credit card reader fits into the headphone jack. There is no monthly fee and you are charged a 2.75% processing fee for each transaction. Of course there are more options out there for on-the-go payment processing but Square is by far the most popular. And of course there are more traditional payment processing solutions. But if you are a restaurant just starting out, I don’t think a step into the past is the way to go in terms of payment processing. They work well with others. Your cooking staff will work as a team to get the food from kitchen to table. Your chef has to be a team player in order for the system to function effectively. They are not afraid to train others. There will be days that your head chef will be unable to work for whatever reason. In such instances, it is important that your backup chef can handle the duties while the head chef is out. They are even-tempered. The restaurant business can be extremely chaotic, especially in the kitchen. That is why it is important for your head chef to be mild-mannered and be able to handle pressure well. Being able to effectively process emotions is an underappreciated aspect of being a head chef. They share your philosophy: The chef needs to share your philosophy on food. If presentation of the food is important to you, the chef needs to also share that viewpoint. If using quality products is important to you, it should also be important to the chef. Tap into your personal network. Chances are you know some great cooks. Whether or not they have prior restaurant experience is another story. However, be wary of mixing friends and business, many businesses and friends have been ruined because of mixing the two. Go to a recruiting agency. A recruiting agency will send you qualified and experienced chefs for you to interview and hire. You tell them what you want and they will find it for you. However, because recruiting agencies make your life easier, expect the cost to of hiring your head chef to be higher. Post online ads. Posting on Craigslist and Facebook are two cheap and effective ways to find local talent. However, be prepared to spend a lot of time filtering out unqualified applicants, because you will get them. Once you have your chef, it is time to concentrate on other types of help, especially bussers and servers. Whoever you hire, you should look for someone who is friendly and pleasant. Remember, the restaurant business is the business of customer service. You’ve heard horror stories of internet justice shutting down businesses. Don’t let your business be on the receiving end of internet justice because of employees being rude to customers. If you are starting a small restaurant, you can usually hire college students for pretty cheap. All they need is enough money for eating and drinking. Hopefully after reading this article you’ve gotten a good idea of what it takes to open your own restaurant. If you have any questions, leave a comment in the comments section below.